Atmospheric perspective (or aerial perspective) refers to how the atmosphere affects how we see objects as they recede into the distance. 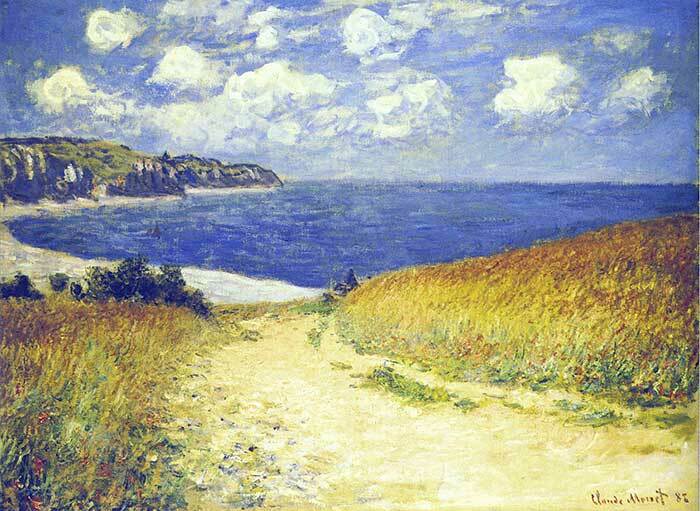 Atmospheric perspective indicates that as an object recedes into the distance relative to the viewer, we see that object with reduced clarity, value and color saturation. In addition, objects in the distance appear to have a relatively cool color temperature. In this post I will go into some more detail on what atmospheric perspective is and how you can use it to create the illusion of depth in your paintings. There are two types of perspective - atmospheric and linear. 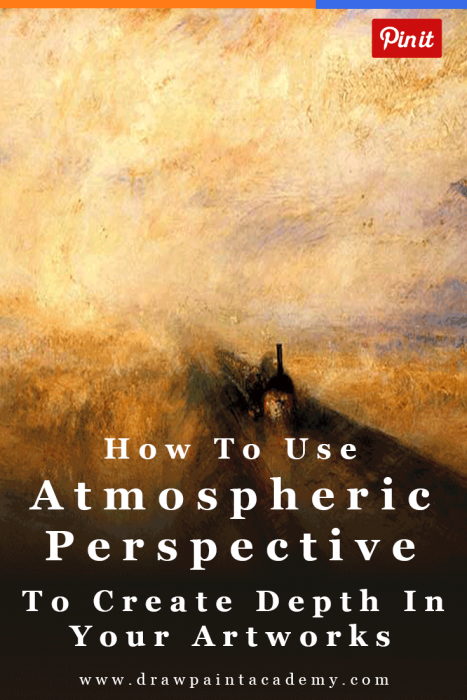 As noted above, atmospheric perspective refers to how the atmosphere affects how we see things. Linear perspective on the other hand refers to the relative size of objects and how an object appears smaller as it recedes into the distance. 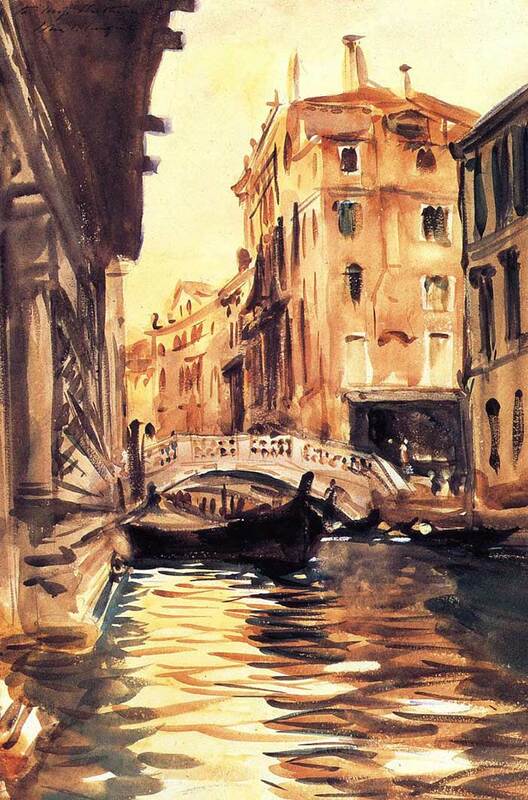 Knowledge of both atmospheric and linear perspective is essential for learning how to paint with accuracy. But most of the time when we think of perspective we only consider linear perspective. 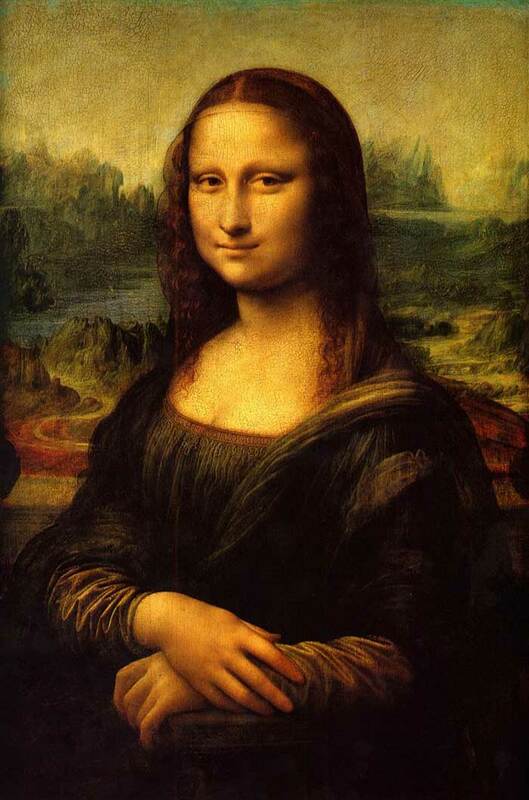 Leonardo da Vinci was one artist who understood the importance of atmospheric perspective and, based on his extensive writing on the subject, considered it to be of equal importance to linear perspective in painting. Many of da Vinci’s paintings have an almost ethereal feel to them due to a clever use of atmospheric perspective to create the illusion of depth. Atmospheric and linear perspective are both essential parts of creating realistic paintings as they reflect how we actually see things. 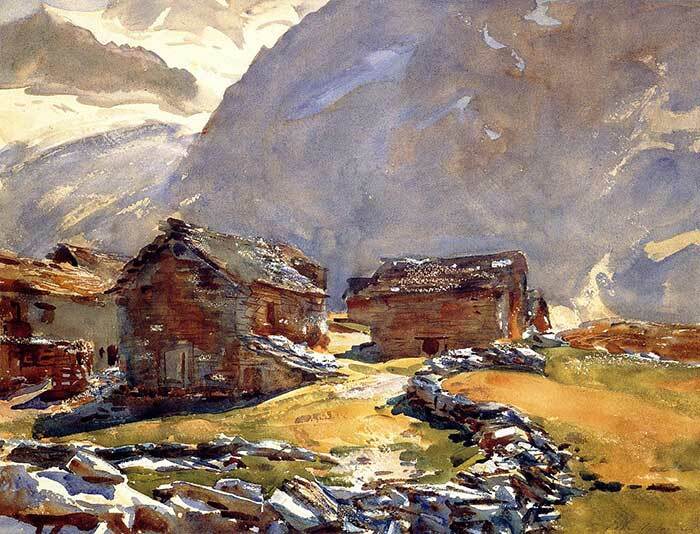 However, linear perspective is much easier to demonstrate when architectural elements are present (like in the painting below by John Singer Sargent). Obviously in landscape and seascape paintings, architectural elements are not always present, so we must instead rely more on atmospheric perspective to create the illusion of depth. - The illusion of texture in your painting (for example, using the scumble technique to create the illusion of dry bark on the side of a tree). To create the illusion of depth in your paintings, you can use more texture in the foreground contrast against a much smoother background. This reflects how we actually see detail. When you are looking at a landscape scene, you are able to see all the tiny details and textures in the foreground - all those stones, strands of grass, branches, insects, plants, etc. You can paint these details with increased texture in the foreground, both with a physical build-up of paint and with increased activity in your brushwork and colors. But as you look further into the distance, all these little details and textures disappear and smooth out into a general mass of colors and shapes. Value is how light or dark something is, on a scale of black to white (with black being the lowest value and white being the highest value). You can read more about value in this post. When an object recedes into the distance, it appears as though it has a higher value than it actually is. In other words, objects in the distance are tinted (are a few values lighter). 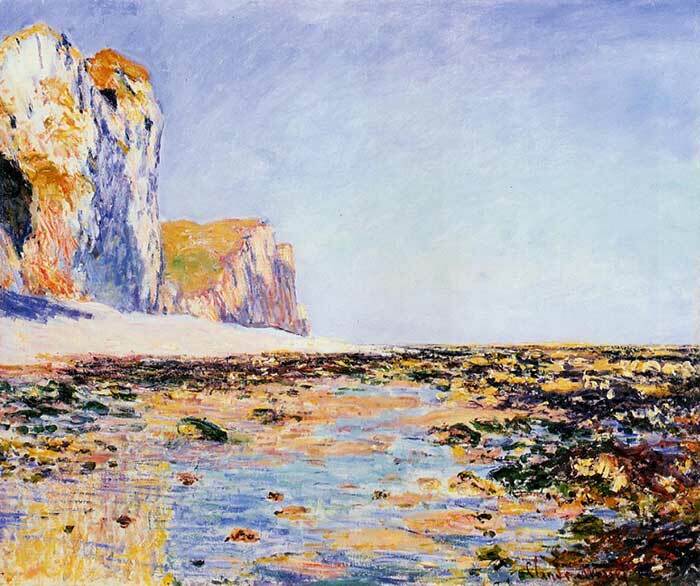 In the painting below by Claude Monet, notice how the distant cliffs on our left have a higher value (are lighter) than the cliffs which are closer to us. Also notice how the sky sitting just above the horizon is lighter than the rest of the sky. 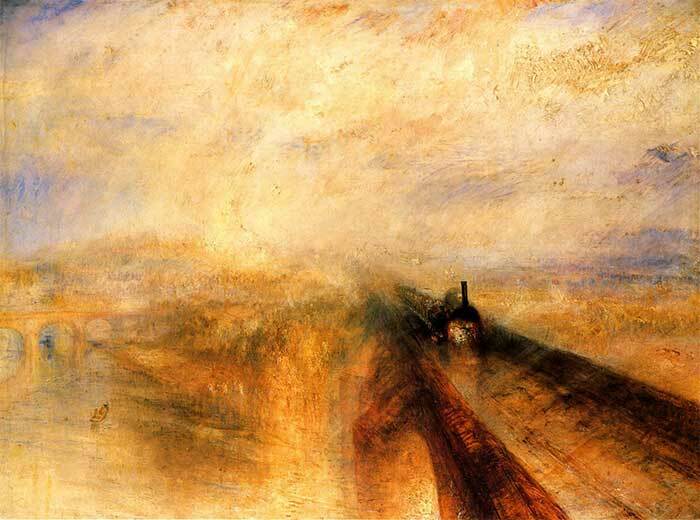 This pushes these areas back in the painting and creates that illusion of depth. This is a simple concept but one which beginners seem to struggle with. When you look at an object in the distance, it will appear to have much less clarity and detail than when you view that same object up close. 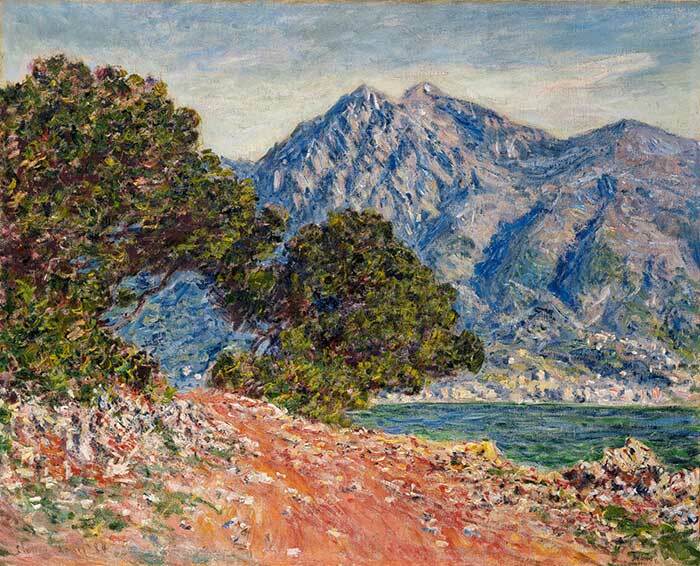 So when you are painting those mountains in the distance, you do not need to paint all the rocks, shadows, trees and other particular details. You can really simplify the detail to create the illusion of atmospheric perspective. In same cases, you may even want to over-simplify the background to really exaggerate the sense of depth in your painting. 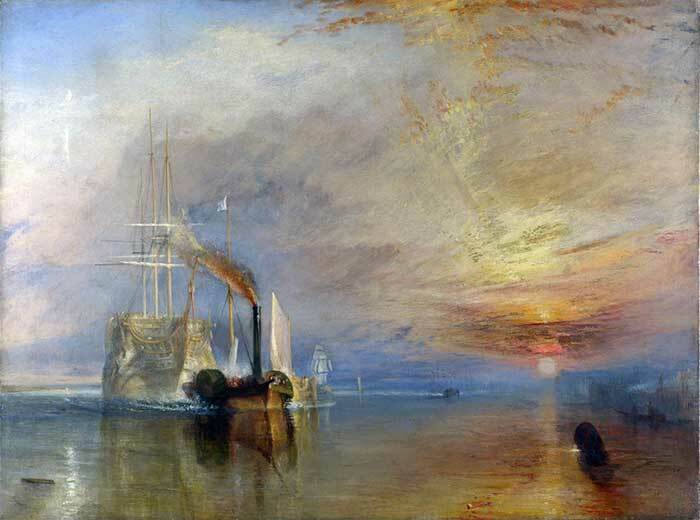 In the painting by Turner below, compare the level of clarity between the foreground and the background. The background almost has no detail and is merely there for atmospheric effect. The most detailed part of the painting is the part which is nearest on our right. Generally, the color temperature of an object tends to shift towards the cool side (which is on our left in the color wheel below and includes the blues, purples and greens) as it recedes into the distance. Colors also appear less saturated (less intense) in the distance. Now, remember we are talking in relative terms here, so you can still have warm colors in the distance. But they will be cooler than what you see up close. For example, consider an object which is a bright orange. Up close, it will look very orange of course. But as that object recedes into the distance, the orange will take on a slightly cooler and less saturated appearance (as if you had mixed in some blue or purple with that orange). In the following paintings, take note of the color temperature of the background relative to the foreground. 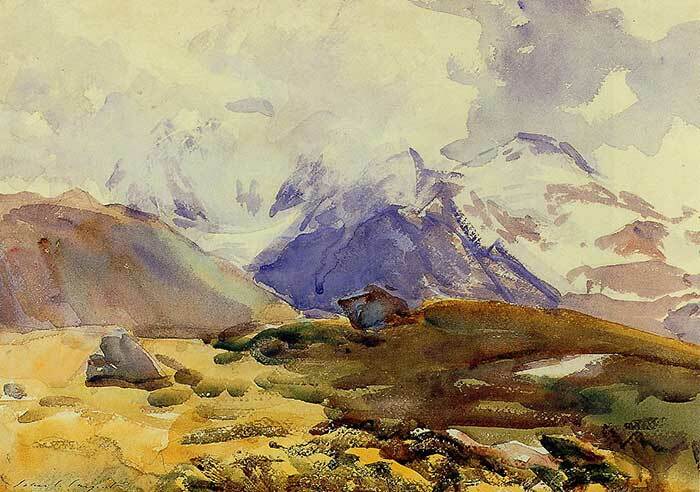 I hope this post helps you better understand what atmospheric perspective is and how you can use it to create the illusion of depth in your paintings, particularly your landscapes and seascapes where you are not able to easily demonstrate linear perspective. If you have any tips you want to share, please add them to the comment section at the end of this post. No problem at all Anne! Thanks, Dan. You always give me something to think about!! No problem at all Linda! Great article. 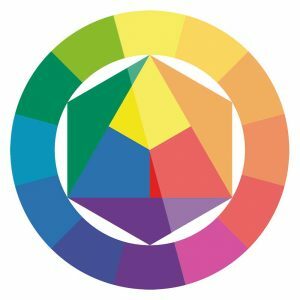 The examples and color wheel help bring it to perspective. Thank you very much for this very insightful article, I learned a lot from it. I’ve seen the Mona Lisa at the Louvre a couple of times but never paid attention to the details in the background. You’ve taught me to be more observant as well as how to add depth to paintings.